Woohoo! 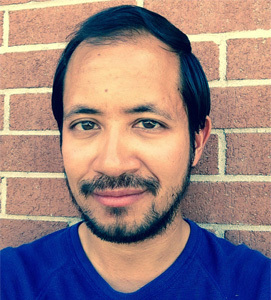 151 has made it into the second (and final) round of GUTGAA's Small Press Pitch Contest! That means it will get some exposure with some fantastic Editors, who will offer both helpful feedback and (hopefully) MS requests. Check out my Entry #5, here. "So, I want to read this. Like now. No scratch that. I want to watch this movie. I've since made a few tweaks to 151's query and first 150, check them out below and let me know what you think! Seventeen-year-old Aeneas doesn't belong to a Colony. 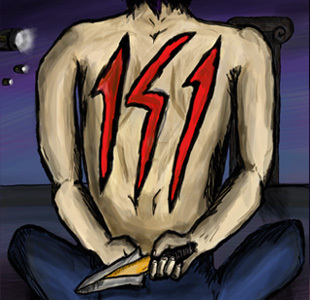 As the bloody scars on his back remind him, he was one more than needed: 151. When the band of pirates that raised him is slaughtered in cold blood, he finds himself lost, on the run, and worst of all, alone. It takes the chance rescue of Casseopea, a girl from the Colonies, to make the running stop. Her ultimatum is simple: if she can track down the ancient and powerful Key of Ilium, she'll stay part of her Colony's 150. If she fails, she'll be banished for good. But the Key is more than just a relic from Ilium's past. For Casseopea, it will be the edge she needs to spark a rebellion and free the members of her Colony. For Aeneas, it will not only unlock the secret behind his scars, but the startling truth about where he belongs. Aeneas looked up into the bulging brown and purple eyes of the man called Gore, one of the most powerful Titans of the Ilium Underground. His hair was drenched from the sewage leaking from above, and his wrists were cut by the metal chains that tied his arms behind his neck. The yellow scar that ran down the tip of Gore’s bulbous nose throbbed as the question hung in the air between them.